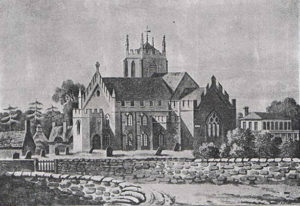 All Saints Church is Leamington’s original, and until the early days of the nineteenth century, the only parish church. It is suggested that the building, or at least its predecessor, dated from the 13th. or 14th. century and there is also a mention in the Domesday Book of a priest. The explosion in population brought about by the development of the spa waters led to an urgent demand for more churches, and church capacity. 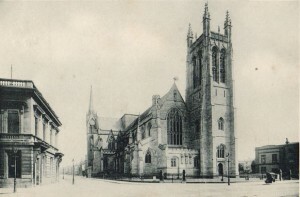 To cope with this pressure, All Saints was subjected to a program of almost continuous expansion over the nineteenth century, giving an increase in capacity from around 130 worshippers to nearer 1,500 by the end of the century. The many alterations not only increased the number of pews, it also led to a century of recriminations, arguments, letters to the press, court cases and several committees, one of which could only suggest the appointment of another committee! The climax to the mutual misunderstandings came when the abrasive incumbent, the Rev. Craig, was accused of being ‘un-sober’ in the pulpit. 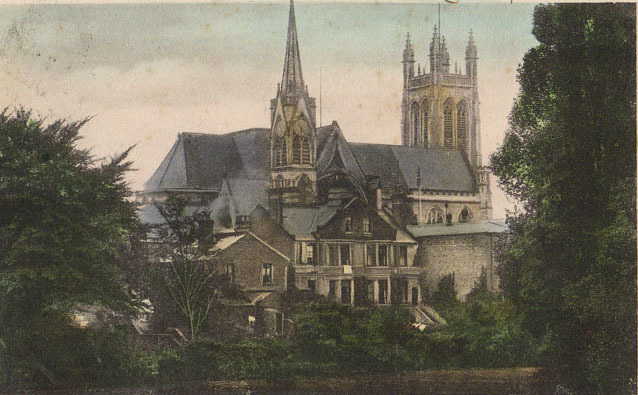 At around the same time, the mid 1870s, it became apparent that a more fundamental solution was required to solve the problems of the lack of church capacity; more parishes. The reign of the Rev. Craig at All Saints typifies this conflict between God and Mammon. 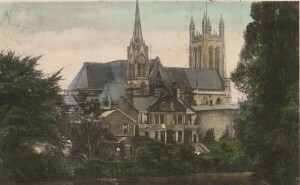 His original appointment was welcomed by the parish because he was thought to have enough money to fund the much-needed expansion of the church building, without an increase in the Church Rate. The subsequent disagreements stemmed from arguments over who had promised to pay, who had actually paid, or was going to pay for the many extensions and alterations. On one occasion the parish refused an increase in the Church Rate to pay for new building work, but agreed to a collection equal to that which the increased Church Rate would have produced! 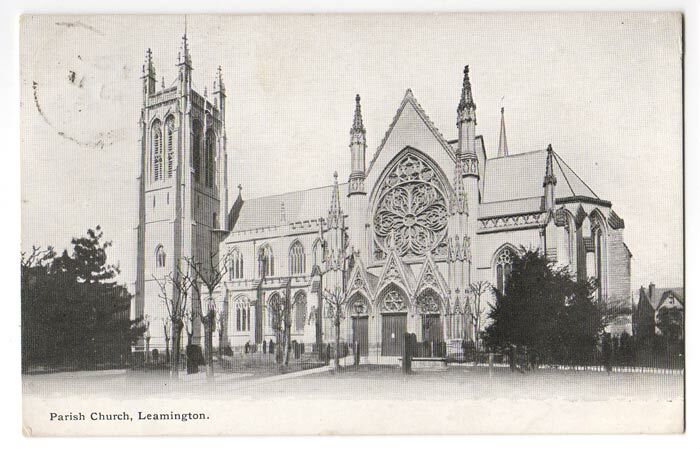 The eventual answer was to create three new parishes in Leamington, and one in New Milverton, which had by this time become a suburb of Leamington, but this only occurred around 1875-7 when the Rev. 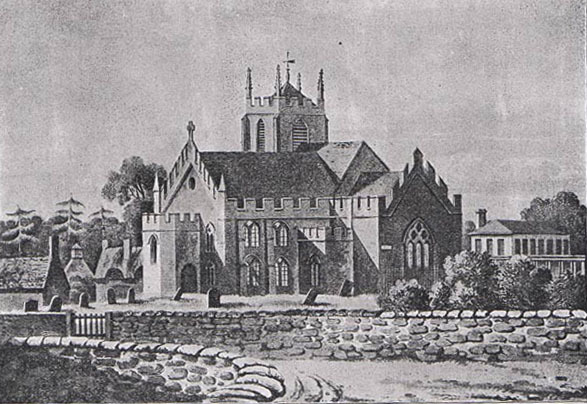 Craig’s power was fading.An initial solution to the lack of church capacity had been the encouragement of the building of proprietary chapels, some owned and connected with the parish, whilst others were more independent. Churches and chapels were, by the nineteenth century often run as Christian businesses, with the incumbent regularly buying, or leasing, either the building, or in the case of St. Mary’s, paying for the actual construction. With the ending of the Rev. Craig’s power harmony was restored, but still the modifications continued with the church being refaced with a harder stone and with internal alterations to allow seating for the ultimate 1,500 worshippers. This marked the end of the many extensions and alterations and All Saints entered the twentieth century a much larger, cathedral sized church at the centre of a much smaller parish, and with congregations on the decline. The resulting large church, of cathedral proportions, is now both too large and too expensive for modern religious needs.